Eden Gardens will play host to two of the biggest cricketing nations in the subcontinent when India host Sri Lanka in the first match of the three-match test series starting today. Having earlier defeated the Lankans 3-0 in the test series held in Sri Lanka earlier this year India will be looking to do a double. The Indian team is bolstered by the return of spin duo Ravichandran Ashwin and Ravindra Jadeja to the squad. 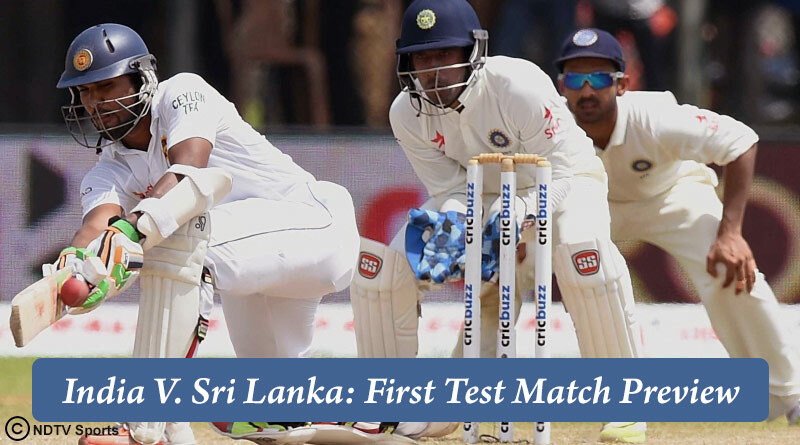 Playing tests in India after 9 years, Sri Lanka will have to be at their best if they have any chance of bringing an end to India’s recent dominance against them in the longest format of the game. Despite having had a heavy season in which India has played almost everyone they expect to go ahead with the same crop of players that have played the entire season. Facing a happy headache with so many top quality players to be chosen from, India goes into the series with a strong squad knowing that any player has the capability to win matches single handily. Kohli: “This is one thing which I don’t think people explain properly. There is a lot of talk from the outside in terms of workload — whether a player should be rested or should not be rested. All cricketers play 40 games in a year. Three guys who should get rest, their workloads are to be managed. 11 players play the game but not everyone would have batted 45 overs in an ODI game or not everyone would have bowled 30 overs in a Test match,” Kohli assessed. The match starts at 9:30 am IST with the toss taking place at 9:00 am. You can catch all the action on Star Sports 1 and Star Sports Hindi. Sri Lanka: Dinesh Chandimal, Dimuth Karunaratne, Dhananjaya de Silva, Sadeera Samarawickrama, Angelo Mathews, Lahiru Thirimanne, Rangana Herath, Suranga Lakmal, Dilruwan Perera, Lahiru Gamage, Lakshan Sandakan, Vishwa Fernando, Dasun Shanaka, Niroshan Dickwella and Roshen Silva.